We came into VandyHacks with a completely different idea in mind than the one we decided to work on this weekend. We had already created mock-ups and mapped out how we were going to complete our project. All of this changed when we listened to Fulcrum GT give their presentation during the opening ceremony on Friday. We were motivated by the speaker and decided to change our idea and create something that we thought could be beneficial to society down to a single person. 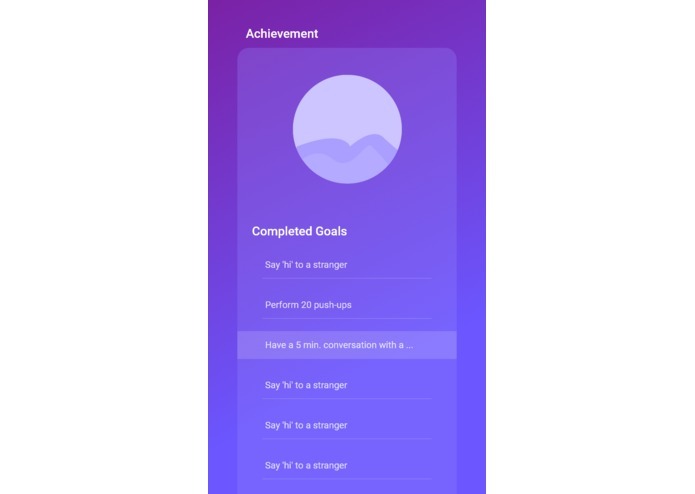 Our app is all about self-improvement. Getting people out of their comfort zone and challenging them. It's something that will keep the user accountable in their quest for self-growth. 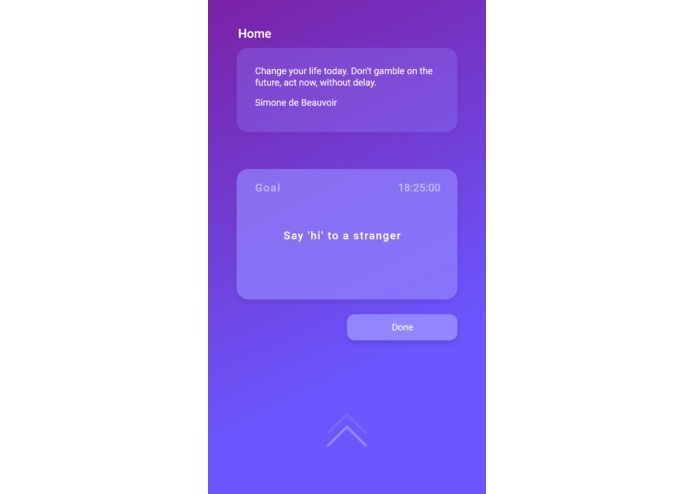 The user receives a goal to complete everyday, and if they fail, the app prompts the user if they would like to donate a small amount (or however much they want) to charity. The prompt can be turned off in settings to prevent it from annoying the user. The idea of this is to encourage the user to complete their goal, but if they fail, they are still doing a kind act by donating to charity even if it is a small amount. We split up into different jobs and researched different problems that we had to overcome and came together to help each other with the issues. We had two members working the front-end and two members working back-end. 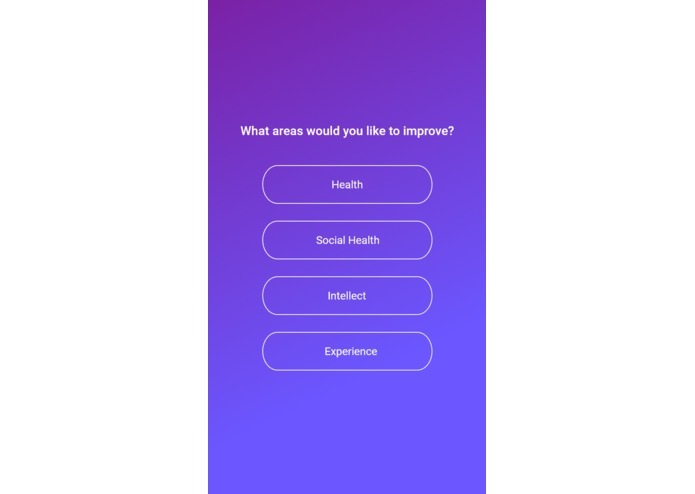 We also went around the event and asked other students for their input on how they thought we could make our app better, but also some ideas for daily goals that we could include in our app. 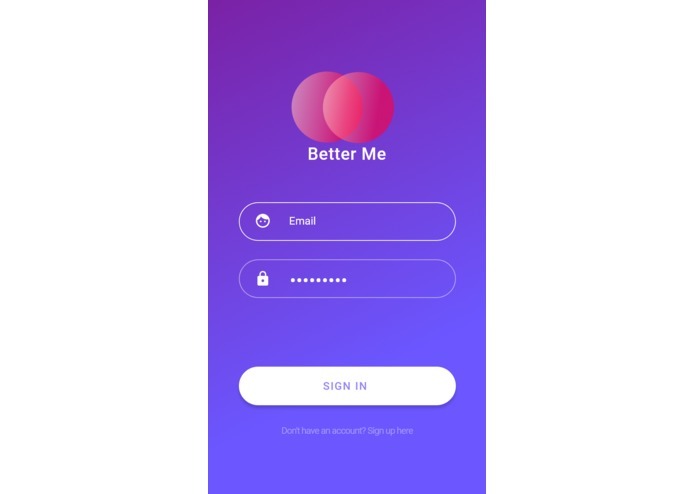 We had issues trying to implement random database connectivity, version control issues, and a few issues dealing with the UI. Starting from scratch to build an app after changing our idea Friday. It was a great experience as first and second-time hackers. Also, very proud of our UI which we put much effort into. We all learned a substantial amount of Android Studio since this is all of our first times' coding in it. We also learned how to handle XML proficiently along with handling API's. I worked on our program's animation, tutorial page, and xml for different areas of our app. 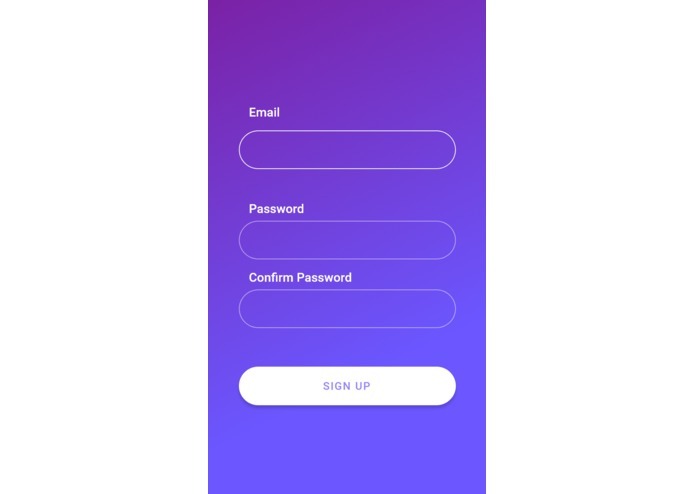 I designed the app's UI/UX through Adobe XD and worked the XML in Android Studio to best replicate what I had already created.